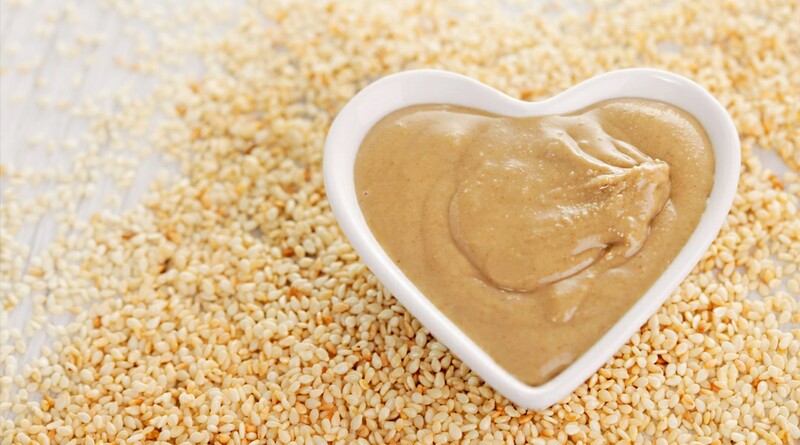 A bit thicker than your typical nut butter, sesame-seed paste, aka tahini or tahina, is high in minerals, low in unhealthy fats, and even contains 3 grams of protein per tablespoon. Popular for many millennia in North African and Middle-Eastern cooking, you’ll find tahini in classic savory recipes like hummus, and sweets like honey-laced halvah. Fabulous blended into soups and dips for creamy flavor, tahini also works well as a substitute for almond or cashew butter on toast. Here are four more reasons to open a jar of tahini next time you crave a little nut butter. 1. Calcium. Sesame-seed paste is one of the highest nut or seed sources of this bone-building mineral, at 328 milligrams of calcium per 200-calorie serving. 2. Zinc, Copper, Magnesium, and Manganese. Per tablespoon, tahini contains 10 percent or more of your recommended daily value for each of these minerals. 3. Heart-healthy plant lignans. Sesame seeds contain cholesterol-lowering phytonutrients. 4. Healthy fats. Sesame seeds are an excellent source of the monounsaturated fatty acid oleic acid, which lowers “bad” LDL cholesterol and increases “good” HDL cholesterol. 1. Stir a tablespoon or so into hot cereal, such as oatmeal. Top with chopped dates for truly Middle Eastern–inspired taste. 2. Mix 1:1 with honey and spread on toast or substitute for PB&J on sandwiches. 3. Make your own hummus. Blend ½ cup tahini into 1 cup cooked or canned and drained lentils, garbanzos, or white beans, along with fresh garlic, green onion, or shallots to taste. Add in ¼–½ cup water and/or extra-virgin olive oil to create a spreadable consistency.